I thought it might be entertaining for me to post some funny stories/rants from my experience at the gym. Ive seen quite a few things over the years that make me both cringe and laugh. 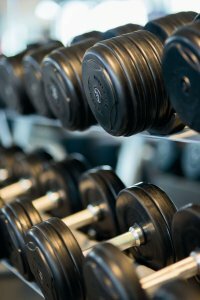 You will gain nothing from this article but a funny gym story. If that is not your cup of tea, skip it! My rant for the day comes from two guys that were benching. Upon entering the gym with my wife I noticed a guy strutting around like he owned the place. Kind of staring everyone down while he paced back and forth with ILS (imaginary lat syndrome). This made me smirk and I started my workout. Throughout my workout I would see him do a set and immediately jump up, scream and high five his friend. He was using a decent amount of weight but nothing too crazy. As if this was the most amazing strength feat in the world and people were missing out by not witnessing the glory of this bro benching. To my surprise some people literally stood there and watched him finish his sets. After he was done, he did some curls and left the gym.